External pond pumps have many advantages over more common submersible pumps, including easier maintenance, lower running costs, and more power! In this guide we’ll provide more information on different types of external pumps, as well as recommend the best external pond pumps on the market! Why Choose an External Pond Pump? External pond pumps are great for heavy stocked koi ponds where a high rate is pessary for optimal filtration. For starters, external pond pumps are usually much more energy efficient compared to submersible pumps. The difference in monthly savings won’t be hugely noticeable for smaller ponds, as pumps do not need much power to circulate lower volumes of water effectively. For larger ponds, especially ponds 8,000 gallons and over, the efficiency and monthly savings of an external pump become much more noticeable. If you have a large garden pond over 8,000 US gallons, we actually would recommend an external over a submersible in most cases, as the energy efficiency of a high quality external pond pump is just too good to pass up. As well as their efficiency at circulating larger water volumes, external pumps do not have an upper limit in terms of flow rate. Submersible pond pumps are generally designed for ponds below 10,000 gallons, as the higher the water volume and pressure, the more the pump has to work to drive flow efficiently. As water volume increases, the amount of power required to circulate larger volumes sky-rockets and soon becomes uneconomical. An external pond pump doesn’t have this issue as it sits above water at ground level, and so flow rating can be much higher in comparison. Some external pond pumps are even rated in horse power (HP), instead of gallons per hour (GPH), being able to circulate tens of thousands of gallons of water every hour. A final major benefit of an external pond pump is easier maintenance, management, and cleaning. Since this kind of pump sits above ground, it will be much easier to physically work with. Also, since it does not need to contend with floating debris and particles in the water, it will rarely become clogged and will require much less cleaning compared to a submersible. If cleaning is something you want to keep to a minimum, and you want easy management when required, an external pond pump would be an ideal choice. One of the main benefits of running an external pond pump, especially for ponds over 8,000 gallons, is the prospect of monthly energy bill savings. The best external pond pump models are designed with energy efficiency in mind, and will run far more economically than submersible models. Some external pumps will be more efficient than others, and some even have built-in technology to help optimize their efficiency and energy usage. You can work out the average monthly cost by using it’s wattage rating, and we’ve included this in all our recommendations below to make things easier when deciding, as well as list any individual features which could save you money. External pond pumps usually come in two varieties; those with high max head height and strong flow, and those with low max head height and strong flow. The choice between pumps would depend on what you’re looking to run alongside your external pond pump. External pumps with a low max head height are great at circulating water, but would not be ideal for large water features, but could still power smaller ones. Pumps with high max head height still have good flow rate, but also have very good water lift heights for larger water features. If you’re looking to just power a filter system, selecting a pump with low max head height and strong flow would be a good choice as water circulation is the primary objective. If you’re looking to run a large water feature, such as a waterfall or fountain, choosing a pump with a high head height and strong flow rate is recommended. Some manufacturers of external pond pumps provide options for flow rate control, giving you more options for water circulation and head height. Pumps may come with a simple switch for “high” and “low” speeds, or even a more complex control drive panel, providing full control of flow and energy usage. Although not required, having control over your flow rate is an added bonus, and is especially useful for water feature displays and maximizing energy savings. For example, during warmer months it may be better to run your pump full speed for the best water aeration possible, whereas in colder months you can run at a lower speed when fish require less feeding and there is less waste to filter. As an alternative if there are no speed options, you could always add a ball valve to reduce water flow or a control valve with “T” fitting to split the flow rate if it’s too much for a single feature. Another consideration is whether to purchase an external pond pump rated at 115 volts or 230 volts. These two voltages cover almost all external pump models, with lower powered pumps usually being 115 volts and more powerful pumps being 230 volts. In general, for larger pond builds, running a 230 volt external pump is likely more cost-effective long term. For smaller ponds, around 2,000-6,000 gallons, it would depend on the availability of voltage support at the installation site. For example, choosing to run a 230 volt external pond pump when your electrical system only supports 115 volts would mean you need to upgrade the lines, and for such a small pond pump, this would be a large waste of time and resources. The cost of running a 115 volt pump and a 230 volt pump at lower GPH is similar, so we would only recommend strong consideration for a 230 volt model with ponds 8,000 gallons or larger, or if the 230 voltage lines are already available to you. Two different types of external pond pumps are flooded suction centrifugal ponds and self-priming centrifugal pumps. Flooded suction pumps are usually much cheaper than self-priming pumps and require their impeller motor to be surrounded with enough water to create pressure to begin operation. Due to this water requirement, most external pumps will need to be installed at or below the pond line, usually within a hole dug for the pump itself. This allows water to easily enter the pump chamber and begin suction. The second type of pond pump is a self-priming pump, and has the advantage of being able to create suction on a mix of both air and water. Whereas a non-self priming pump would stop working if there was too much air (becoming “air-bound”), a self-priming pond pump mixes air with water to create a fluid with pumping properties. It than removes the air from the water and begins pumping, just like a regular pump. A self-priming STILL needs water to work, and cannot function on just air alone. The major advantage of a self-priming pump is that is can pump water from a much closer distance and does not always need a hole below the water line to work. They’re usually more expensive than flooded suction pumps, but the extra cost may be worth it depending on your ponds design. In most cases, either choice of pump is fine, but if you want save money and don’t mind some DIY priming, we’d go with a regular flooded suction pump. Priming pots are almost essential for starting non self-priming pumps to prevent damage. For non self-priming pumps we always recommend a “wet install” below the ponds water line. External pumps primed via flooded suction are usually housed in a hole or box underground, which allows an easy supply of water to the motor chamber for operation. As well as this, we also recommend the addition of a priming pot or leaf basket on the pump’s intake. The only way to prime an external pump effectively without a priming pot is with a check valve, but this method alone is more complicated and open to error (and pump damage). Another advantage of a priming pot is they usually come with an added basket which is used to trap leaves and debris and stop them entering your pump. This makes cleaning much easier, and also ensures your external pump doesn’t become clogged or damaged. Self priming pumps will usually come with a chamber for priming to occur, so you don’t always need an additional priming pot device. The very best setup would be for your external pump to be installed below the pond line, with a priming pot attached to help with priming and a check valve installed on the pond end. This setup will give you the easiest priming of the pump, and protect your pump for clogging during operation. For a guide to the top priming pots, check our separate article here! Below are some of our top external pump recommendations, including options for both self-priming and flooded suction models. 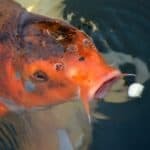 All would work great for large ponds or heavy stocked koi ponds, and we’ve made sure to give detailed reviews on each so you have all the information necessary to make an accurate decision. One of the most affordable external pond pumps available, with the added benefit of being self priming! The Evolution Energy Saving Self Priming (ESS) external pond pump series have been designed to run extremely efficiently, with low monthly running costs. Self-priming pumps always cost more to run monthly than non self-priming, but each model here is very energy efficient so won’t break the bank. The pumps come in a few varieties, ranging in flow rate from 4000 GPH to 9600 GPH, so would be suitable for both smaller and larger ponds or water features. The pump is a centrifugal motor driven external model, so cannot be submerged and must be placed outside water. The pump is self priming, and actually one of the best self priming external models we’ve seen. There is no need for an additional priming pot as the self priming chamber provides this function, and so long as the pump is installed at or below the water line you should have no issues priming. The pump once operational is very quiet for an external pump, and the built-in fan cooling design will prevent issues with overheating. The flow rate is also very strong, and would be more than sufficient at powering a filtration system, as well as providing efficient water circulation for fish stocked ponds. The ESS pumps would also be great for running larger water features, such as fountains or waterfalls, as they have a large max head height of 21-28ft, depending on model. Included is a strong casing design, with the pump being both water and weather restraint. Even so, we always recommend a cover for external pond pumps to ensure a long operating life with minimal damage. It runs on common 115 voltage lines, so should be suitable for most garden pond owners. The main selling points of this particular external series is their energy efficiency, self priming function, and great max head heights. They’re very versatile and would suit both smaller and larger ponds, and both short and very tall water features. Unlike other self priming pond pumps, they also won’t cost you much to run monthly, being very energy efficient in design. They may look a little pricey compared to other external models, but are actually one of the most cost effective self-priming models you can find – and the monthly efficiency savings are a bonus! Assuming a charge of $0.10 per kWh (national average), the cost to run the 5200 pump monthly would be $21.6 per month, and the cost to run the 9600 model would be $57 per month. This would be running the pump 24 hours a day, 30 days a month. Maximum Flow Rate: 5200 GPH – 9600 GPH. A fantastic series of external pond pumps, designed with koi keeping and maximum water circulation in mind. Helix external pumps would be a perfect choice for heavy stocked fish ponds, or for large ponds in need of great water turnover and aeration. Helix provide a range of models with different flow rates, ranging from 3600 GPH to 8200 GPH, so would be suitable for both smaller and larger fish ponds. The pumps are very durable, with waterproof motors designed for continuous operation, and we found the water circulation rate some of the best in the industry. For fish stocked ponds where water circulation and aeration is vital, Helix external pumps are a very good choice. The great range of flow ratings are accompanied by some equally impressive max head height values, ranging from 20ft to 23ft, depending on model. Even though these pumps can work great for water features, we would only recommend them for fairly low head waterfalls or fountains. At lower head heights, around 5-15ft, you’ll see the most impressive results from these particular pumps. The pumps are fairly easy to prime and get started, but are not self-priming, so would need to be installed below the pond level for best results. They operate in flooded suction applications, and we recommend a priming pot for much easier priming. A check valve can also be added to the suction line to maintain a constant prime once operational. All sizes of Helix external pumps have dual voltage ready motors, working from both 115v or 230v. The pumps come ready for 115v, but can be easily switched to 230v if desired. This is a very handy feature, and will be especially useful for owners who may be restricted to 230v. The only model which doesn’t have dual voltage is the lowest 3600 model, which comes with a 115v only motor as standard. The pumps have a very sturdy outer casing, being water and weather resistant. They do not need to be covered and can run happily even in bad weather conditions. They also have a lengthy 3 year manufacturers warranty for maximum peace of mind. A downside to these pumps is they’re fairy expensive to purchase, but for the price you get a very reliable pump with an extremely high build quality. Backed by the 3 year warranty and great water circulation rates, we highly recommend helix pumps for heavy stocked fish ponds where reliable and constant operation is vital. Assuming a charge of $0.10 per kWh (national average), the cost to run the 3500 pump monthly would be $16.3 per month, and the cost to run the 8200 model would be $32.4 per month. This would be running the pump 24 hours a day, 30 days a month. Designed to deliver the maximum amount of performance with as little energy usage a possible, Max Pro Legend pumps come with a custom designed LOW RPM fan-cooled motor and very low energy draw. These pumps would be great for ponds around 10,000 gallons, as they consume very little power and still provide strong circulation at this volume. The lower models are also very energy efficient, however, and would also be a great choice for smaller builds. The pumps have very respectable max head heights, being able to lift water to around 17 ft to 22 ft, depending on model. They would make great pumps for larger water features, and you can easily install a ball valve to control the floor if you also decide to run through a filter system alongside. It would have been nice to see some built-in speed control on these pumps as they’re very strong, but so long as you choose the correct model it shouldn’t be a huge problem. Just like the other pumps reviewed here, the MaxPro Legend pumps are not self-priming, so will need to be primed with water to begin operation. We recommend installing below the pond level in a cool pump house, and using a priming pot on the intake for easier priming. The pumps are very durable and sturdy, being both water and weather resistant. The pumps have been officially rated for outdoor use, but we would still advising covering the pumps for maximum longevity. A lengthy 3 year warranty is included as standard, however, so if there are any problems you are covered for peace of mind. There are no dual voltage options for both 115v and 230v, with all MaxPro Legend pumps working at just 115v. It would have been nice to see a dual option on some of the stronger models for more flexibility, but it’s certainly not a deal breaker. Overall, a great external pump choice and our most recommended external pump for 8,000+ gallon ponds due to its exceptional performance and energy efficiency. If you need to drive a lot of water, have a very large pond, and want to save money, the MaxPro Legend pumps are for you! Assuming a charge of $0.10 per kWh (national average), the cost to run the 3000 model monthly would be $14.5 per month, and the cost to run the 10000 model would be $31.5 per month. This would be running the pump 24 hours a day, 30 days a month. I currently have the submergible pump with skimmer and wanting to know if I can use the same plumbing system with the flow of the water or will I have to do plum things differently. My pond is approximately 8000 gallons. This would depend on your current plumbing framework, but you would usually install an external pump on the out-take of the skimmer, but before your filter box, in a non-gravity fed system. I’d recommend you also add a priming pot and ball valve on the in-take of the external to allow for easier maintenance and help with the priming (starting) process.